The striking and sleek design of the Honda CR-V, available at Mekor Honda Canal Walk, features sculpted lines and an aerodynamic hood. The infotainment system enables Bluetooth hands-free connectivity across all variants, while Honda CR-V EX and EX-L feature a 7.0-inch touchscreen for infotainment with Apple and Android playback. 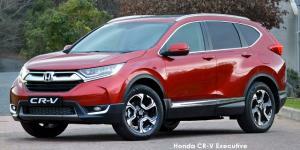 The Honda CR-V knows how to be a family SUV. For ample passenger and storage space as well as enough ports to keep every family member’s device charged, visit Mekor Honda at Mekor Honda Canal Walk for Cape Town, Milnerton and the Cape West Coast and enquire about the Honda CR-V.